Rosemary and Jim Kurt have felt at home at Bethesda Orchard from the moment they first stepped inside for a tour. After a spring 2015 move-in, they continue to grow even happier with their decision each day. Both Rosemary and Jim grew up in St. Louis and met as students at The Principia high school. Following high school, Jim attended Washington University, then spent six years in the Marine Corps before he and Rosemary married in 1960. Jim then spent the next 40 years at Laclede Gas, while Rosemary worked at Bussman Fuse (now Cooper Industries). After retiring on the same day in 1997, the Kurts spent 12 years living in Englewood, Florida, a small fishing town on the Gulf of Mexico, where they loved to collect shells and fossilized shark teeth. Ultimately, they settled back in St. Louis and focused on choosing just the right home for their later years. 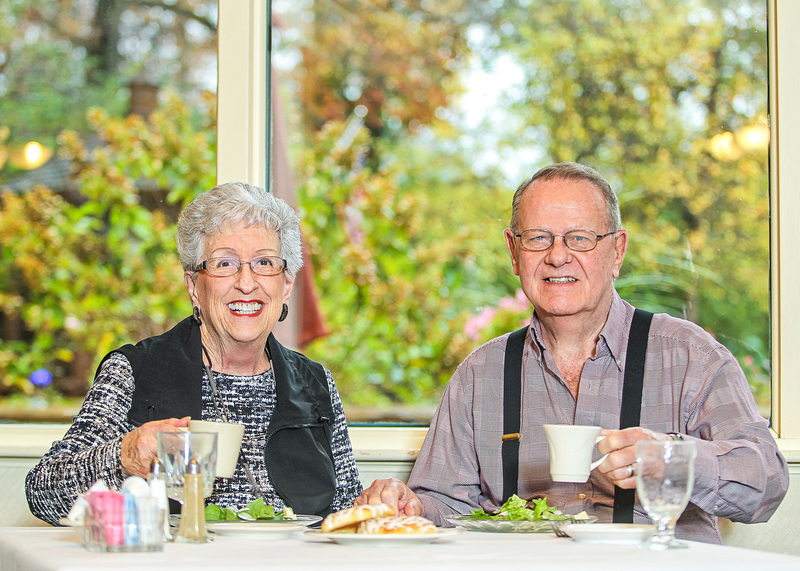 In the heart of Webster Groves, their Bethesda Orchard apartment home is centrally located, and they have peace of mind knowing that when the time comes, they will be taken care of. “We have not changed our lifestyle,” Jim says. Not only do they appreciate having their meals provided and their apartment cleaned weekly, they love participating in all of the activities—including happy hours, exercise classes, card parties, church services, Saturday evening entertainment and more. In fact, Rosemary, an avid crafter, had a craft table at the Bethesda Orchard Fall Festival Bake Sale & Craft Show and teaches a class for her fellow residents on how to make crafts using seashells—a passion of hers since her time at the shore. If Jim had his way, he’d be back on the beaches collecting more shells in a heartbeat, but ultimately, he’s happy right where he is: at home. “This is the place where Rosemary and I belong,” Jim says.